We will review it for accuracy and completeness. We will then send the listing and buyers agent a checklist to fill out with questions pertaining to the property such as HOA, payoffs, commissions and lender information. 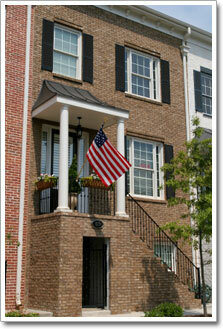 Once the checklist is received we will then order payoffs and call for HOA information. If an earnest money or deposit check is received, the processor will see that it is deposited into a non-interest baring escrow account, where the funds will remain until the time of closing. The processor will then request preliminary title work. A title search will be done and we will receive the title report within 3-5 days of being ordered. We will order a survey and if requested we will also order termite reports, property inspections and well and septic tests. We will schedule a tentative closing date and time. We will contact the lender for all of the loan information. Title will then be examined and a title commitment will be prepared. We will take care of cleaning up any title issues such as judgments or unreleased Deeds of Trust. Once again, the processor checks the information on the title commitment for accuracy. We will confirm the closing date and time with the agents, lender, buyer and seller. Again, the settlement processor checks all previous work for accuracy and completeness before preparing the HUD-1 Settlement Statement which shows all costs paid at closing as well as pre-paid costs, such as earnest money deposit and loan application fee. The lender will supply the settlement company with their closing figures and loan documents to be signed. This usually happens the day before closing. The lender, buyers and sellers agents will be provided a copy of the HUD-1 Settlement Statement for review and approval. Once the HUD-1 Settlement Statement is approved we can provide a copy of the HUD-1 Settlement Statement to the buyer and seller. We will prepare our documents for closing such as the deed and any releases for the mortgages we will be paying off. Now it’s closing day, and it’s finally time to close the transaction and transfer ownership of the property from the seller to the buyer. Our settlement agent will sit down with all parties to go over the HUD-1 settlement statement. The seller will sign the deed to transfer the property to the buyers. The buyers will sign all their loan documents. All funds will be disbursed. The seller will provide the keys to your new home! We will review all of the documents and copy them for our records and send the originals back to the lender. We will overnight or wire any and all payoffs. 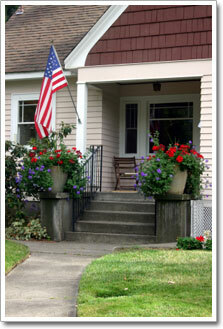 We will mail out the homeowners insurance, termite, home inspection, HOA, well and septic checks. We will send the original deed and deed of trust to the courthouse to be recorded. Once the original recordings come back we will then issue the lenders and owners title policies. We will notify the loan officer or processor that we received the order. We will request at that time any payoff information. The processor will then request a title search that we will receive within 1-3 days of being ordered. We will contact the lender for necessary loan information. We will confirm the closing date and time with the lender and borrower. Again, the settlement processor checks all previous work for accuracy and completeness before preparing the HUD-1 Settlement Statement which shows all costs paid at closing as well as pre-paid costs, appraisal fee, credit report, and loan application fee. The lender will supply the settlement company with their closing figures and loan documents to be signed. This usually happens the day before closing. The lender will be provided a copy of the HUD-1 Settlement Statement for review and approval. Once the HUD-1 Settlement Statement is approved we can provide a copy of the HUD-1 Settlement Statement to the borrower. We will prepare our documents for closing such as any releases for the mortgages we will be paying off. Now it’s closing day, and it’s finally time to close the transaction. Our settlement agent will sit down with the borrower to go over the HUD-1 settlement statement. The borrowers will sign all of their loan documents. The borrower will have a 3 day right of rescission and on the 4th day the funds will be disbursed. We will mail out homeowners insurance. We will send the original Deed of Trust to the courthouse to be recorded. Once the original recordings come back we will then issue the lenders title policy.